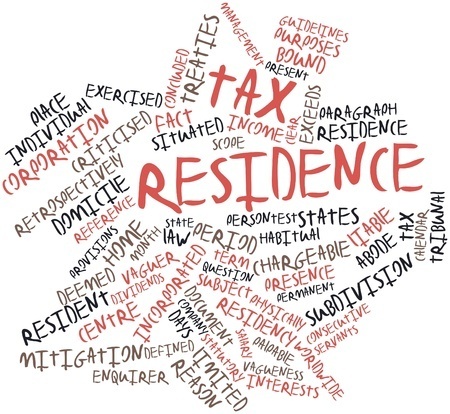 Click above for important information regarding obtaining a Tax Identification Number, also known as a "TIN"; as well as, the conditions that qualify an individual as a resident of Saint Lucia, for tax purposes. Saint Lucia today signed the Multilateral Convention on Mutual Administrative Assistance in Tax Matters. Saint Lucia became the 107th jurisdiction to join the Convention. Hon. Allen Michael Chastanet, Prime Minister and Minister for Finance, Economic Growth, Job Creation, External Affairs and Public Service, signed the Convention in the presence of the OECD Secretary-General, Angel Gurría. Since then, the Convention has become a truly global instrument. It is seen as the ideal instrument for the swift implementation of the standard on exchange of information on request and the new OECD/G20 Standard for Automatic Exchange of Financial Account Information in Tax Matters. The signing and ratification of the Convention is therefore very timely since Saint Lucia has already signed the CRS Multilateral Competent Authority Agreement (MCAA) based on Article 6 of the Convention to operationalise automatic exchange of financial account information. The Convention can also be used to swiftly implement the transparency measures of the OECD/G20 Base Erosion and Profit Shifting (BEPS) Project such as the automatic exchange of Country-by-Country reports under Action 13 as well as the sharing of rulings under Action 5. A powerful tool for the fight against illicit financial flows the Convention also enables jurisdictions to implement the commitments they have each made as members of the Global Forum on Transparency and Exchange of Information for Tax Purposes. Prime Minister Honourable Allen M. Chastanet on Monday, November 21, 2016 signed the Convention on Mutual Administrative Assistance in Tax Matters. The Convention will enter into force in 2018 and will enable the government to automatically exchange information. This multilateral instrument is the most comprehensive mechanism available for all forms of tax cooperation and will tackle tax evasion and tax avoidance, making it a top priority for all countries. The Prime Minister explained that coming off the heels of the first Foreign Account Tax Compliance Act (FATCA) reporting period, the learning curve for the implementation of the Common Reporting Standard (CRS) is envisaged to be significantly reduced. Since 2009 the G20 has consistently encouraged countries to sign the Convention which has been opened for signature from 2011. This cooperation ranges from the exchange of information to the recovery of foreign tax claims. PM Chastanet asserted that “Saint Lucia has heeded the call of the global community with respect to the exchange of information. The Convention was developed jointly by the Organization of Economic Cooperation and Development (OECD) in 1988 and was amended by Protocol in 2010. Caribbean Jurisdictions already participating in the Convention on Mutual Administrative Tax Matters include Barbados, Anguilla, Aruba, Belize, British Virgin Islands, and Cayman Islands among others.